I'm working on an anti mosquito laser turret. Now I'm starting to play with servomotors. if my laser beam bouce on 3 mirror before hitting the target, does it reduce the beam power? I mean of course it will because there is no perfect mirror, but how much power loss are we talking about wit regular walmart grade mirrors? Do any of you know what kind of laser would suit my needs? I have no idea of how much power I need to burn a mosquito, I intend to shoot up to 30 meters. 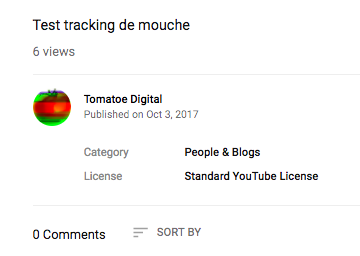 That digital tomatoe YouTube account was created today, no other posts ever used on it, this is likely our old friend back again. I regulary creates a new identity an ditch the old one, made this one less than a month ago. well no I'm not your old friend, someone else was making a laser mosquito killer? It's starting out to be an interesting day! "I intend to shoot up to 30 meters." You do know that you can't even see a mosquito at that distance don't you? What kind of B.S. is this? LOL, well this one was found out quick. Can you make that video any shorter than 7 seconds? The last member in here had a much longer video showing this, is that where you got that clip from? This is a very controversial subject, but you might have guessed that. The general agreement among members is this would be a liability hell to produce. Your not even knowing how to focus on a mosquito and bringing this here like you have spells one thing. What do you mean? 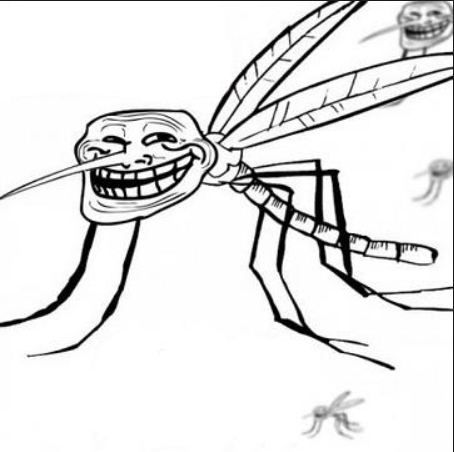 like : oh no he is killing mosquito, that's bad! yeah sorry for my spelling, I'm not a native english writer/speaker. I'm just making this for fun, I previously worked on a game (elite dangerous) autopilot using machine vision and now that it's done I want to do something fun with it. I scrapped it and use it to detect insect instead of stars now. It will probably take me years, I may even fail, but I don't care it's for fun. It will be pointed upwars to avoid shooting into people or any other reflective surface. I'd start out with a very low divergence setup using a laser diode which can also focus to a very tiny spot such as a CDROM diode to see what is possible for close in, but at greater distances a higher power pulsed laser device is probably the way to go as I am not sure a relatively low power single mode diode can do the job a few feet out or not for a quick pulse. We had a member here who claimed to have outrageously low divergence with a laser pointer he built, you might search for forum for "Thors hammer", you probably would enjoy digging into that. However, I think we've already had enough discussion on such a device, google search it for more info. Here, I will give you a hand, youtube has info, the web has info, you will find far more info searching the web than anyone here can help you with. If you need help with basic optics, PM me, I can answer some of your questions, or a phone call. How TF do you intend to track a mosquito at 30 meters??!! I can't even see a mosquito across my room, they're tiny and don't stand out much against the background. You can forget using any kind of camera to use computer tracking. The only way I can think of that could even potentially work is if you had an array of extremely sensitive microphones that could pick up the tiny hum of a mosquito in flight, but thats such a small sound it would easily be drowned out by any background. Don't think this is a feasible project. How TF do you intend to track a mosquito at 30 meters??!! I can't even see a mosquito across my room, they're tiny and don't stand out much against the background. Maybe the mosquitoes you have where you are, the ones we have here are massive. They're so big I've confused them for Crane flies. But I agree, not a very feasible project. It's been thought about before. Appears we another laser anti-mosquito machine daydreamer without any knowledge or experience in lasers. Exactly. How is the system going to target a single type of object--mosquitoes-- and not everything within a 30 meter range? Think about why this is not something 1000 companies are already doing? What you want to do is way not practical--too expensive, too dangerous/unsafe, and not effective and most importantly not eye safe either. You are better off making a turret the holds a can of mosquito killer spray. Google the subject and see what people have tried and worked on for years---all of it is pretty much a useless waste of time and money and only minimally effective. Here is what one company who has been working on the idea since 2009 has come up with and they still are not anywhere near anything practical or cost effective after millions of dollars spent--only have killed mosquitoes under controlled conditions in a lab setting. DigitalTomatoe, is this a serious request or are you pulling our leg? A 30m radius bug zapping (and anything else it detects) laser machine. What could go wrong. No point repeating the points, above replies are more than adequate enough.